Toastmasters Leadership Institutes are happening now! The International Convention is next month! Are you up for a membership challenge? Thank you for electing me as your District Director for the 2018-2019 Toastmasters year. 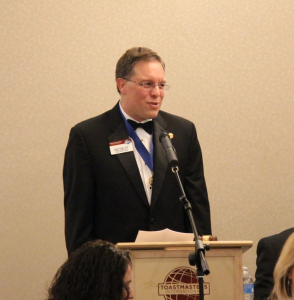 I look forward to serving all of you and guiding District 35 through this exciting time in the Toastmasters world. In addition to using Toastmasters core values of integrity, respect, service and excellence to guide the actions of our District this upcoming year, I also look to use the words I shared during my incoming District Director address at the Spring Convention. In the spirit of our Convention theme of “A Toastmaster Wears Many Hats”, I talked about having a feather in my CAP to guide the District in 2018-2019. 1) Our 1st full year of Pathways – We need to ensure people are maximizing goals in both the traditional educational program and Pathways. This in turn will create more Distinguished Clubs. 2) Virtual Fall District Council meeting – Our evolving world is creating more interaction with technology and we need to learn how to leverage technology in more situations. 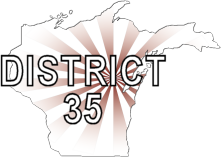 3) Replacement for Fall Conference – District 35 has an unusually high participation rate for our District conferences. Thank you for being active in events outside the club. Thank you also for participating in the vote at the Spring Convention Business Meeting. As a result of that meeting, we have set our District 35 TLI for December 1st at Monona Terrace in Madison. Attitude – I always strive for a positive attitude. One of our past District members, Lisa Bosquez Dutkiewicz, complimented me for my “service with a smile” as I was moving up in District Leadership. We look to Toastmasters not only for the aspects of improving our communication and leadership skills, but to have fun in working on these skills. In addition, if we take on a Club officer or District leadership role, we are taking on additional responsibility in a volunteer capacity and want that time and service to be fulfilling. I appreciate all that these leaders do for their clubs and District 35. Part of this positive attitude also includes a culture of respect. We may not always agree with changes or decisions that have been made but need to respect those that need to carry out those decisions and that, in our Toastmasters environment, are always done with the best intentions for District 35. People – My focus will be to ensure District 35 is best serving you, the members of our District. Without members we would not have Toastmasters as an organization. It is important to me that people feel they are receiving value for their Toastmasters membership. This is accomplished by properly educating our leaders and put on quality events for our members. By meeting this goal, people will be excited about their clubs. In turn, excited members will work to earn educational awards. Outsiders who see goal focused clubs with people having fun will want to start their Toastmasters journey and join their clubs. All of these combined actions will lead to a stronger and healthier District. I am very excited to see what the future holds for us in District 35 in 2018-2019. My only request is that we all put our best foot forward in the efforts to have a successful year. Best wishes to everyone in the upcoming year! Officer Training is happening now! Cedar Rapids, IA July 28The sites for District 30 and District 103 in Illinois do not indicate additional TLIs at this time. Club Officers are to attend one session in summer and one session in winter. Are you heading to Chicago? The International Convention is in our back yard! Check out the 2018 World Championship of Public Speaking and cheer our own Adam Stoll! Hear inspirational and impactful speakers with information on Toastmasters and your professional life! Meet Toastmasters from around the world to hear how they encourage their club members and bring in new guests – just like we do! Click here to read more about what’s coming up at the Convention. 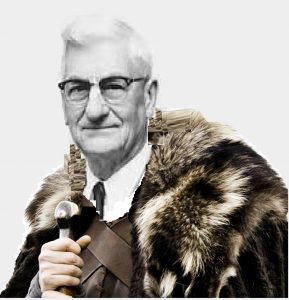 August is just a couple weeks away and it’s the first chance for new officers to step up and develop a membership drive. Will you go with one special meeting or open house? Maybe offer a competition to see who brings in the most guests. Lure your new members in with well-run meetings and a club full of friendly people! New members mean new ideas and great new energy and input — work with officers and members to develop quality meetings that keep your guests coming back.